Easy snap open and closed poster frame system. 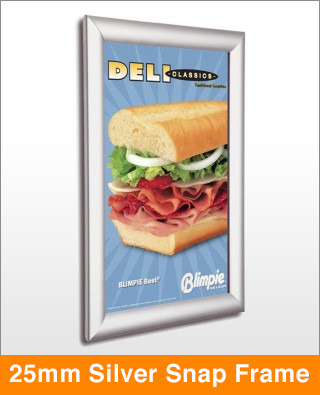 This is the best value for money poster frame we offer and our best seller too. Favoured by retailers, restaurants and the leisure industries.